The Texas Early Care and Education Career Development System (TECECDS) provides an avenue for early childhood practitioners and administrators to pursue their professional development along a continuum of increasingly complex education and skill levels. Training provides instruction in the Core Knowledge and Skills for center-based practitioners, home based care practitioners, and center-based administrators. This site (texasonline.com) will walk you through the steps of how to start a business, giving you the tools, information, and confidence you need to begin offering your products and services to citizens and organizations within the state. Find out additional information about the new system for weighing child care licensing standards. TECEC’s mission is to build a system of quality early care and education that prepares children in Texas for success in their education and life. The website is focused primarily on legislative and advocacy issues; however there is also information on general resources for young children. Pre-K Now is a national organization that collaborates with advocates and policymakers to lead a movement toward high-quality, voluntary pre-kindergarten for all three and four year olds. The website is updated daily with information on current trends, research, best practices, news stories and legislation and has different areas geared towards policymakers, the media, advocates, educators, and parents. Texans Care For Children is a nonpartisan, nonprofit organization seeking to improve the well-being of Texas children, through grassroots advocacy, coordination of child-serving agencies, public outreach, and more. The website includes information on legislative and advocacy issues on a wide variety of issues affecting children; however there is an area devoted specifically to early childhood education. Founded in 1926, NAEYC is the world's largest organization working on behalf of young children. The website contains information on accreditation, public policy, best practices, training opportunities and resources for parents, teachers and administrators. A state affiliate chapter of NAEYC, The Texas Association for the Education of Young Children (Texas AEYC) seeks to improve early childhood education in Texas by supporting members to be effective early childhood advocates and by collaborating with other agencies to promote public policies that address the needs of young children and their families. The Houston Area Association for the Education of Young Children (HAAEYC) is one of the largest chapter affiliates of the National Association for the Education of Young Children (NAEYC), a national organization comprised of early care and education professionals. Our mission is to promote and support high quality care and education for young children through improved professional practice and broadened public awareness. A nonprofit, volunteer organization, HAAEYC is governed by a 16 member board elected by the membership. One Voice is a network of public, private and non-profit organizations in the Greater Houston area working together to ensure that the health and human service needs of all Texans are addressed in legislative, regulatory, funding and other public policy initiatives. The site provides a list of ‘Helpful Websites’ focusing on the Texas Legislature with information on topics such as: how bills are developed and passed, tracking legislation and how to find out who your State Senator or Representative is. Through its research and advocacy programs, CHILDREN AT RISK is a leader in understanding the health, safety and economic indicators impacting children living in Greater Houston and the Gulf Coast, and educating public policy makers in their importance of improving the lives of children. The website contains legislative reports, research briefs and demographic/trends data on a wide variety of topics including education, child welfare and health. NHSA is a private not-for-profit membership organization that provides support for the Head Start community by advocating for policies that strengthen services to Head Start children and their families; providing extensive training and professional development to Head Start staff; and by developing and disseminating research, information, and resources that enrich Head Start program delivery. The website includes information and updates on NHSA’s multiple advocacy efforts on behalf of Head Start. The Early Care and Education Consortium (ECEC) is a non-profit alliance of national, regional, and independent providers of high-quality child care and early learning and development programs for young children. ECEC was formed in 1999 and describes itself as the only national organization exclusively representing the voice of child care providers on Capitol Hill and in the states. 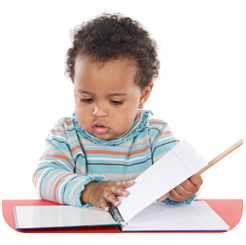 The website includes information on both advocacy and general early childhood-related topics. The Texas Center for Grants Development (TCGD) is housed at Harris County Department of Education. TCGD provides proposal writing services and technical support to individuals and organizations. They also offer frequent trainings on grant writing – many of which are geared towards the beginning grant writer. TCGD’s services are fee-based. The ‘official business link to the US Government’, www.business.gov is a large site that contains a broad array of information, resources and links of interest to business owners. This particular section - on financing - provides information on grants and loans available to small businesses. Resources for specific groups, including home-based and women and minority-owned businesses are also included.